© 2018 Kenneth M. Persson. Tapio S. Katko “Finnish Water Services - Experiences in Global Perspective”. The book was published by the Finnish Association of Water Utilities 2016, and co-published as an e-book by IWA Publishing 2017. http://www.iwapub lishing.com/books/finnish-water-services-experiences-global-perspective. Dr. Tapio Katko has again presented a very interesting and valuable book on experiences of water service for the public. In the present book, he has elaborated two major topics and put them together to a thoughtful unit. Finland is a small Nordic country which used to be Europe’s hinterland, but since 1950, it has developed rapidly. In recent years it has been rated among the top countries in many international comparisons on water and environment. How did this metamorphosis take place, when did the large change happen and which lessons can be learnt for other countries now struggling with SDG 6? This book gives several answers to these questions. The main timeframe of his study is from the early 1990s to 2014, while it also covers the futures to some extent, although several of the major issues have been debated for over 100 years. In the study, Dr. Katko uses comparative quantitative and qualitative research approaches and methods. 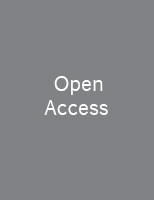 The emphasis is on comparative analysis based on the history and futures research approaches as well as the extensive data and knowledge collected in connection with earlier projects through archival research, literature surveys and semi-structured theme interviews of over 100 sector professionals mainly in Finland. The book is rich in data and examples. It contains four parts, where the first one deals with water problems, solutions and technology development, including the trends of international water policies from the 1960s to the 2020s. The second part describes the ever-changing operational environment and economics of water services. Part three looks at institutional development with many lessons learnt from small and large utilities in Finland. The fourth and final part analyzes the very important social impact of water services, followed by views on the future of water services and conclusions. Among the central conclusions in the book can be underlined the need for long-term thinking and importance of conducting research on most influential strategic decisions including the relations between pasts, presents and futures. Despite the well-founded successful examples from Finnish experience, he never gives any impression of promoting a superior analysis, but rather tries to explore general worldwide principles, utilizing issues from the Finnish experience which are especially interesting for others to consider. Thus it is to a large extent a textbook on practical water management for any interested reader. The book argues in favor of institutional diversity: allowing different types of arrangements depending on local conditions. But he stresses some key findings which he suggests are more or less applicable in water services all over the world. Correct pricing is a sound basis that can vary according to conditions. Stable institutional arrangements are essential where various partners play roles that positively support each other. Principles of good governance, including fighting corruption, are commonly accepted goals all over the world. Strategic and long-term thinking in water services is becoming increasingly obvious. Planned and active management must be practiced on a daily basis. The most severe Finnish and global challenge on water services is related to aging water services infrastructure and the need to put more emphasis on rehabilitation in the future. RDI activities on water services infrastructure, management and governance must be devoted with more efforts in Finland and globally, since the challenges with aging infrastructure are far from being solved. Hence, there is maybe a place for a follow-up book on strategic work on infrastructure maintenance. But before that is written, Finnish Water Services – Experiences in Global Perspective which can be enjoyed for several years.